Learn about the top 10 FUT Midfielders in FIFA 19's Ultimate Team! Watch out for these players to help build up your offense & lead to goals! 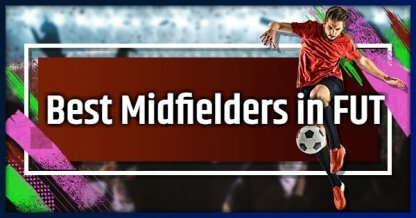 What Makes A Good Midfielder? Midfielders are positioned at the middle of the field. These players help move the ball around, and do their best to help the team defensively or offensively. This is why Midfielders have good passing, and defending or attacking ratings. Midfielder (CM / LM / RM) are placed in the center of the field. These players excel in dribbling, and passing stats to help move the ball around the pitch. Central Attacking Midfielders (CAM) excel in the same stats that midfielders do, but also have good shooting stats. These help them shoot the ball if they see an opportunity to score a goal! Central Defending Midfielders (CDM) provide additional support to defenders while playing. They serve as the frontlines before the opposition can face the defenders. 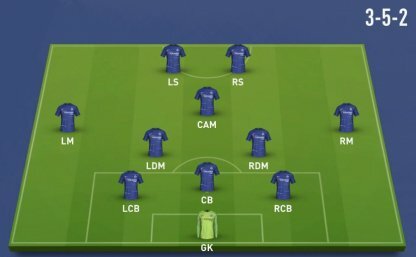 Here are the recommended formations where you can fully use the talents of your Midfielders! This formation allows you to constantly pressure the ball in that area, and quickly go on the attack with quick and easy passes when you win back the ball! Having good midfielders is the key to the success of this formation.